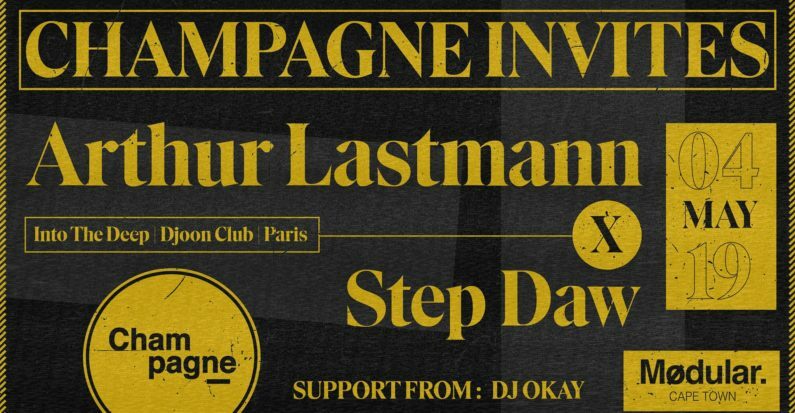 The Champagne Invites concept seeks to showcase eclectic sounds from local and international electronic artists in a perfectly curated late night club setting. Partager la publication "Champagne Invites. Arthur Lastmann & Step Daw @ Modular, Cape Twon"